Building and Facilities News is extremely proud to present Hamilton Litestat with its highly regarded Commitment to Excellence profile. 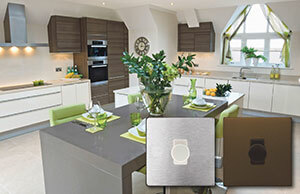 Founded in 1968, Hamilton Litestat is a British Company producing and supplying high quality switch plates & sockets plus a range of lighting control and multi-room audio solutions. Hamilton Litestat exists thanks to Rod Hamilton’s vision and determination. In the 1960’s, he established Hamilton as one of the first companies to bring the dimmer to the UK market, offering a greater choice in materials and design unlike anything ever seen before. Today, Hamilton remains a pioneer in its field: a trusted British brand, producing and supplying high quality decorative electrical wiring accessories, bespoke products, and advanced lighting control solutions. Its largely UK-made products can be seen in some of the most prestigious hotels, commercial premises and high-end residences, both in the UK and globally. The business is now led by managing director, Ian Hamilton. Hamilton’s new intelligent LEDstat is a perfect example. A phase-adaptive dimmer that resolves compatibility issues between LEDs and the dimmer when used with the same, or mixed branded LED lamps. LEDstat is also available in a wide selection of styles and finishes from Hamilton’s extensive range of plates, ensuring design continuity. A new product development for 2016 is the launch of a ‘Grid’ version: GRID100LED. Designed to be compatible with an extensive range of mains dimmable lamps and luminaires, it can be used with a wide range of grid plate designs, making it ideal for retrofit applications. 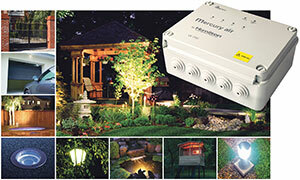 For large scale lighting control projects, Hamilton’s Mercury® Lighting Control system is ideal. Compatible with most leading LED brands, basic day-to-day lighting scenarios, from simple dimming to scene-setting programmes, can be set, stored and recalled – all at the touch of a button. Programmable wall-mounted controllers are available as ‘Capacitive touch controllers’ and ‘Mechanical button controllers’ and ‘Touchscreen’ and co-ordinate with matching plate designs within the Hamilton range. The Hamilton DALI interface is something that the company’s loyal Mercury® customers have been requesting for some time as it allows them to stay with a system that they both know and trust. The DALI interface sits on a Mercury® Lighting Control network and will interface with any DALI two wire bus. Through a separate DALI addressing programmer, devices can be discovered and included on the Mercury® network to be controlled by the Mercury® control plates. DALI dimmers can be controlled individually or in groups, with the option to save the lighting scheme to the Mercury® scene memory for instant recall at the touch of a button. 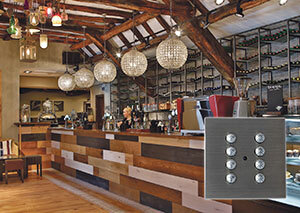 A single DALI interface allows control of up to 42 DALI addressed devices. When discussing the company’s movements and future plans, Gavin was optimistic: “The past 12 months have been very buoyant for us,” he said. “The new products we have launched recently – metal consumer units, plastic wiring accessories, LED dimmers, weatherproof wiring accessories, metalclad wiring accessories and USB socket outlets – have been incredibly well received in the market. “We are pleased to report that growth in the construction area has helped us to continue to expand our sales; we have exceeded forecast and are experiencing double digit growth. The market is significantly competitive, so it has been tough for us during the economic crisis, but our UK heritage, flexibility and breadth of our offering has allowed us to continuously progress. “We have recruited a number of experienced people from within the industry in a strategic move to help take the company to the next level. This includes myself, Paul Walker (ex-Siemens), Kimberley Chandler (ex-Rexel) plus number of sales managers who are well equipped to handle the increased industry demand. “In the next five years our customers can expect more innovation, greater customer engagement and continued commitment to drive our product development program into new areas; the latest of which is to extend lighting control outdoors with our Mercury® Air Wireless solution. This innovative 4 channel IP rated system is straightforward to install and ideally suited to controlling multiple lighting circuits, garden pumps and other devices such as automatic external property gates and shutter doors. A case of lighting control goes alfresco! This entry was posted in Commitment to Excellence, Featured and tagged Electrical, Manufacturing. Bookmark the permalink.